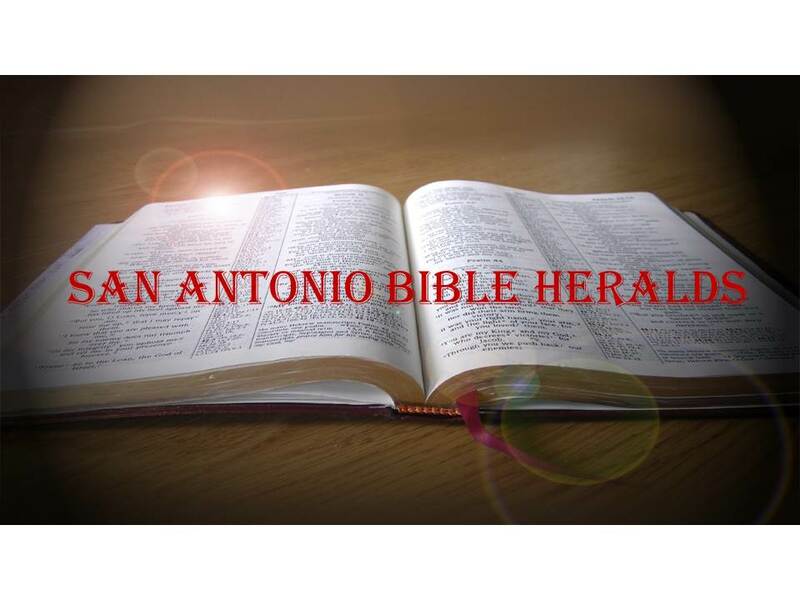 San Antonio Bible Heralds: What Really Happened at Nicaea? One of the greatest issues faced by the church today, is the proliferation of “facts” found on the Internet concerning the Bible and, specifically, the New Testament. You can find thousands, probably millions, of postings, videos, articles, etc., that purport to tell us what the Bible “really” is, or should be. 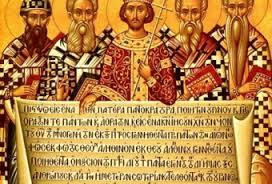 And one of the most popular internet legends concerning the origins of the New Testament is that the book that we have today is the product of machinations by Constantine and those who met at his behest at the Council of Nicaea. Although the versions you will read vary by author, the general thesis is that the bishops that met at the council were intent on converting a good, honest and pious man, read Jesus, into a god. This they accomplished by “changing” the New Testament which, in reality, or so the story goes, did not originally declare the deity of Christ. Not only did the council change the New Testament and make Jesus into a god, it also rejected a number of books which should have been included in the canon of scripture because they did not agree with the prevailing ideas about the person of Christ. Gnostic books such as the Gospel of Thomas and the Gospel of Mary Magdalene, were “thrown out” of the canon because they were opposed to the belief that Jesus was more than a simple man. Thus, we are told, the New Testament is not a reliable document because it was cobbled together by people who, in the first place, were biased toward one particular doctrine and who in addition were unopposed in imposing their will on the church. It is an interesting point to note that those who are the most vehement in pressing the above point, ignore the fact that those “gospels” they are so enamored of are filled with fantastic stories which are obviously fabricated. Take one of the stories found in the Infancy Gospel of Thomas that is a great example of this: Jesus creates some pigeons from clay on the Sabbath day. When He is confronted by Jewish leaders about violating the Sabbath, he causes the pigeons to come to life and fly away, the better to get rid of the evidence of His nefariousness. Or what about the resurrection story found in the Gospel of Peter? As “Peter” tells it, Jesus comes out of the tomb and is so tall that he reaches to the heavens. Not only so, but a giant cross follows Him which speaks declaring Jesus’ glory! It is obvious that these two stories were created to appeal to the natural curiosity that men have. Our wish to know what happened when the Lord was a child and in the minutes immediately following His resurrection, is strong indeed and even in the early years of the church there were those who were all too willing to fill in the gaps. Another problem is the fact that these “gospels” all date from the middle of the second century and later. It is difficult to believe that anyone who considers himself a scholar would be willing to accept a document written over 100 years after the events it purports to describe. Even the most hardened scholarly opponent of the New Testament will accept that all four of the gospels we currently have were written in the first century. Continuing discoveries are shedding increasing light on these dates and the original date of their writing continues to be pushed further back into the first century. When we consider the gospels and the fact that they were written a mere 30-60 years after the events they describe (and probably less than that) as opposed to those that were written 100 and more years later, is it at all difficult to make a decision as to which ones to accept? But let us get back to Nicaea and its deliberations. The lie that Constantine and Nicaea “changed” the New Testament has been repeated so often that many have parroted it without giving it a second thought. Books such as the Davinci Code have done such a good job of convincing the naïve (Romans 16:17-18), that it is hard for some to determine where the truth ends and falsehood begins. The fact is, however, that the Council of Nicaea was not convened to discuss the New Testament. By the time the council met in 325AD, what were considered the books of the New Testament were fairly well established. Although there were still some doubts concerning some of the shorter books such as James and the Johannine letters, the bulk of the New Testament had been accepted nearly universally by both, the eastern and the western segments of the church. Even a cursory look at the Pauline epistles, considered the earliest of all New Testament writings, will help us see what those at Nicaea pointed to when affirming the deity of Christ. In 1 Corinthians 8, Paul is refuting those who worship the ones who are, in his words, “so called gods.” Whereas the Gentiles revel in their idolatry and polytheism, Paul tells us that to us, those who name the name of Christ, there is but “one God, the Father, by whom are all things and we by Him. And one Lord, Jesus Christ, through whom are all things and we through Him.” Paul here takes the great words of the shema of Israel (Deuteronomy 6:4) and adds the Lord Jesus as part of the great truth that God is one, but He is triune. And who can forget Philippians 2:6-11 where Paul declares the truth that, although Jesus is God almighty, he humbled himself and became a servant. The result is that the Father has highly exalted Him and, in the language of Isaiah 45, every knee will bow and every tongue confess to Jesus as Lord. Although the Arian side would make a comeback and would even hold sway for many decades in the years following the council, Nicaea serves as one of the earliest points in time when the church as a whole stood its ground to defend a cardinal doctrine of scripture. It is inconceivable to believe that those who had been persecuted nearly to the point of death and who had stood their ground in the face of withering punishment and torture, would now turn around and allow the truth of scripture to be trampled in order to remain safe. No, they stood their ground because they knew the truth had to be defended. And sixty years later, the Council of Constantinople would reaffirm what the church had declared and held true for over 300 years to that point: Jesus is Lord! Great article, Michael. Very interesting. Thanks! I agree. That is very interesting information. I didn't know much about what happened at Nicaea but had heard a few arguments that the New Testament we have today is not the true scripture. Thanks for sharing! Thanks! It's so important to know the truth about our Bible and the faith. There is so much misinformation out there that we need to always be on the lookout and be prepared to defend the faith. Appreciate your support and comment! Thanks for this. If you write a follow-up, would you address the arguments levied against James and the other short letters were, and who were the defenders? What were their arguments? Really interesting. Appreciate it your comment. At some point I'll do a more in depth article on higher criticism and how the books that are part of our New Testament came to be accepted. Fascinating stuff for sure. Thanks for reading.